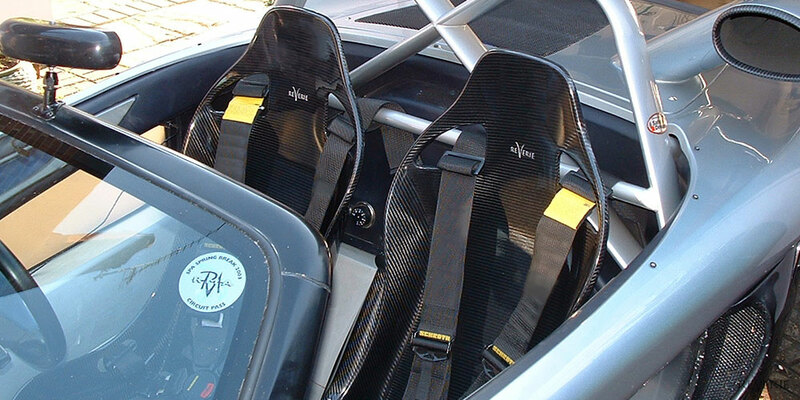 Reverie are renowned worldwide as manufacturing the highest quality Carbon Fibre bucket seats for over 15 years and have been fitted to numerous different production and race cars such as Lotus, Porsche, Caterham, and numerous other cars. 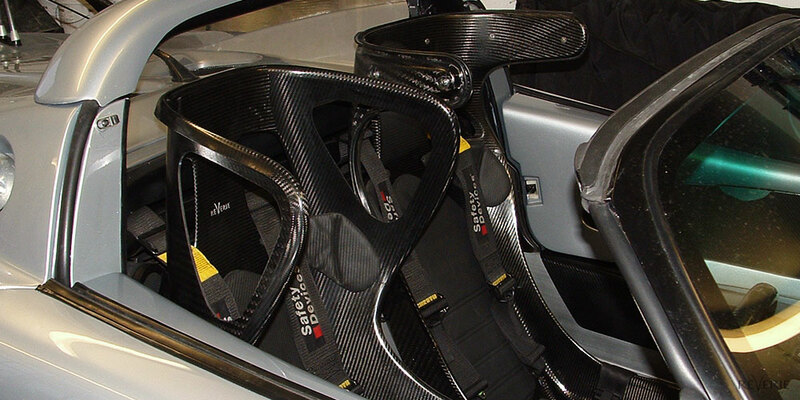 All our Autoclaved Carbon Fibre seats are handmade at our premises in Colchester, UK ensuring the best possible product and quality control. 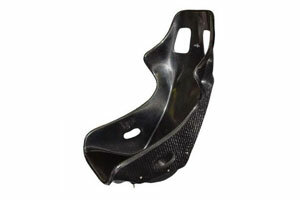 Our Carbon Fibre seats are super lightweight, provide increased support and comfort and most are FIA Approved. 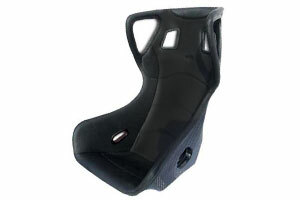 All our seats can be modified to fit most vehicles with a range of different subframes are available to allow for fitting. We also supply a range of different seat cushion kits in a range of different colour combinations and materials including leather, Alcantara, brushed Nylon, foam and Dinamica. 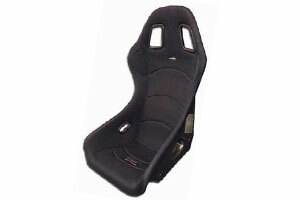 We also supply FIA spacer fabric cushion kits for our FIA approved seats. Our range includes the Reverie Mulsanne, X C/XR C/XS C/XM C, Super Sports bucket seats. 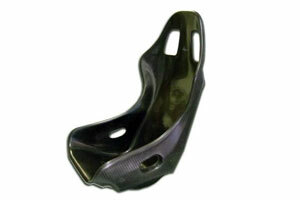 Reverie Mulsanne B is a lightweight Single Skin Carbon Fibre bucket seat that fits the most vehicles including Lotus. The Mulsanne C is a Twin Skin version of the Mulsanne B. The Mulsanne C is also available with a bolt-on head restraint. The Mulsanne CM is specifically designed to directly fit the Caterham 7. It can be modified to fit most other cars also. 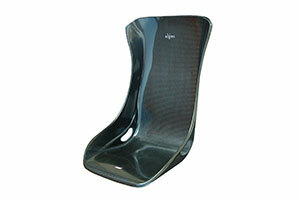 Reverie Mulsanne X C is a lightweight Twin Skin Carbon Fibre bucket seat that fits the most cars including Lotus. 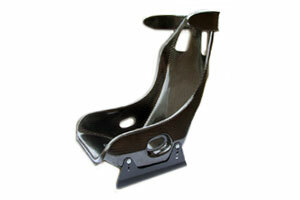 The seat provides additional support to the leg and kidney area. 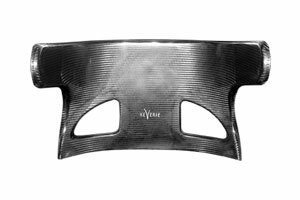 Reverie Mulsanne XR C is a lightweight Twin Skin Carbon Fibre bucket seat available in either narrow or wide version with the option of side impact head restraints that fit most vehicles including Lotus and TVR. Also available with (non-FIA) leather trimmed or FIA approved fabric. 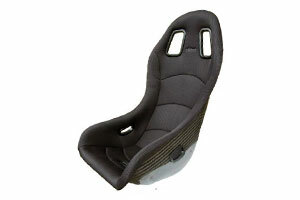 Reverie Super Sports is a lightweight narrow Twin Skin Carbon Fibre bucket seat that fits most vehicles including the Lotus Elise/Exige S1 to S3 inc. V6 and 111R, 340R and 2-Eleven. 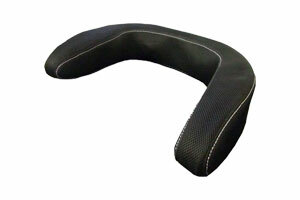 Available as FIA approved and Non-FIA approved versions and also polished or fabric trimmed. The Super Sports B is a Single Skin version trimmed in FIA approved fabric. 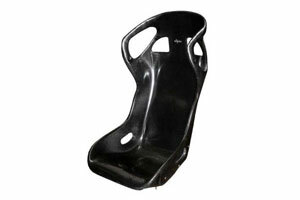 Reverie GT B/GT C is a lightweight wide Twin Skin/Single Skin Carbon Fibre bucket seat that fits most vehicles. 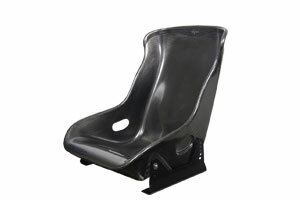 The seat is designed to fit classic cars. What are the dimensions of the seats? 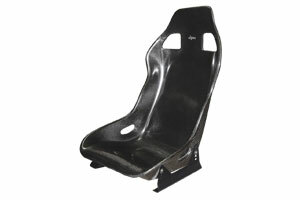 A seat size guide pdf can be downloaded from our seat size guide page. It contains detailed dimensions of all our seats. Can I fit them to my car/vehicle? In most cases, yes, contact us first with your requirements and we will best advise you on the appropriate seat for your vehicle. 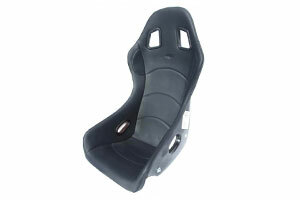 Our Mulsanne seats can be directly fitted into the Lotus Elise/Exige S1 & S2, 340R, 2-Eleven, Vauxhall VX220/Opel Speedster as direct replacement seats. 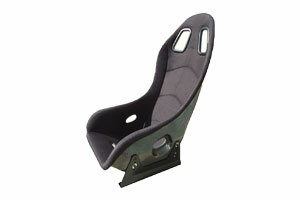 Super Sports seats directly fit all models the Mulsanne seat fits plus all Exige and Elise models inc. S3, V6 and 111R. What is the difference between Single and Twin Skin? 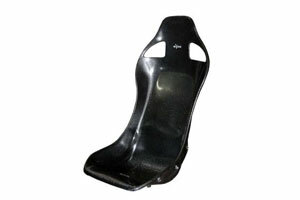 Twin skin seats are manufactured from two shells as opposed to one on the Single Skin. This makes Twin Skin seats stiffer than Single Skin seats. Why are leather-trimmed seats not FIA approved? 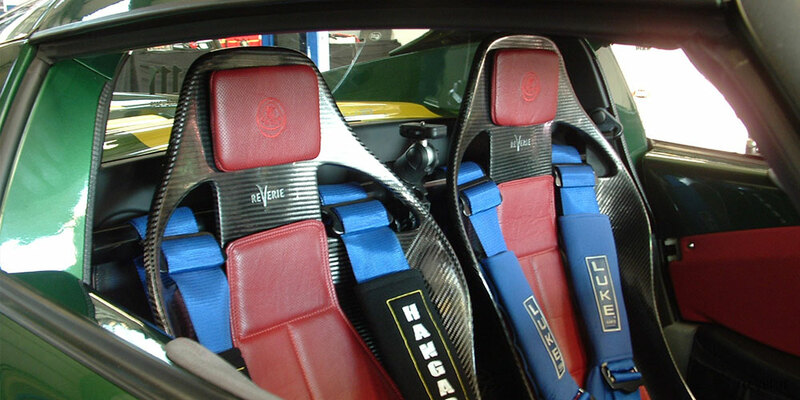 The leather trim is not fire retardant so cannot be FIA approved. 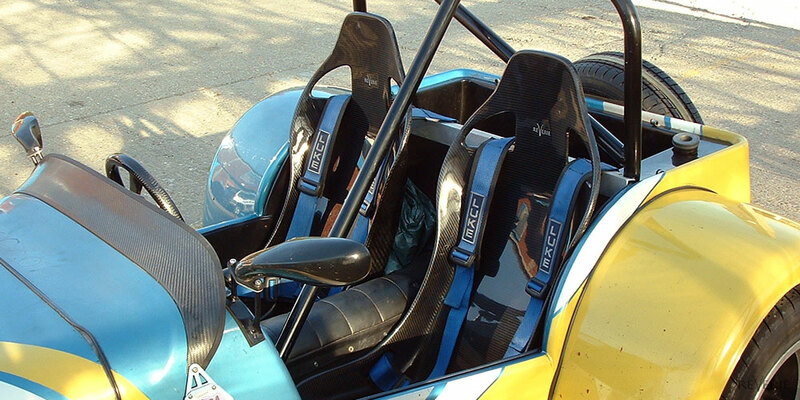 How do I fit Reverie side-mounted seats? We are able to offer a full fitting service at our premesis in Colchester, UK. 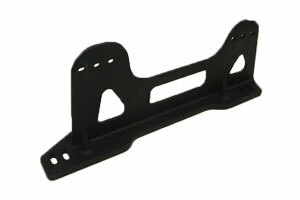 Please contact us with your requirements before ordering. 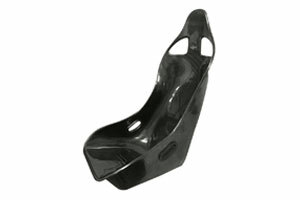 We also produce fitting guides for our seats. We offer worldwide shipping. Shipping charges are calculated based on delivery destination, quantity and weight of order and are calculated during checkout. For orders made within the UK or within the European Union, 20% VAT (TAX) is added at checkout, unless a Europa approved VAT/Tax ID number is provided for the ordering company. All other export orders, with proof of shipment from the UK are exempt from VAT (TAX).